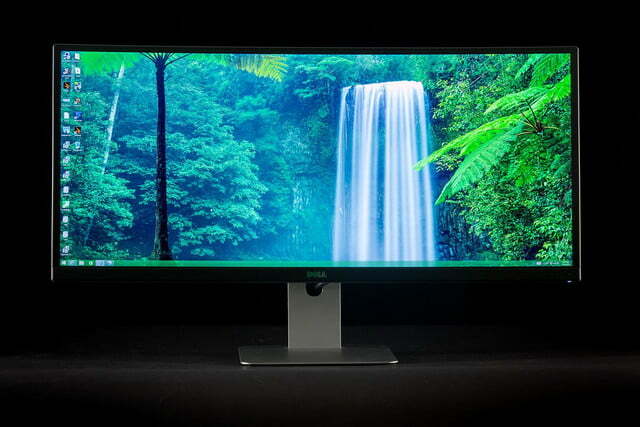 The U3415W is the best 21:9 monitor we've seen yet, but it's not perfect. 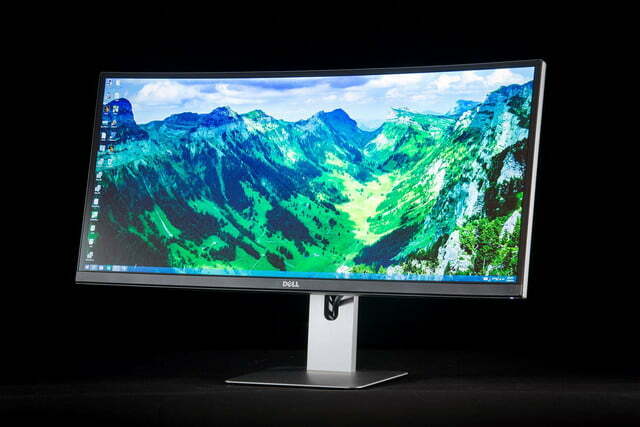 Ultra-wide monitors aren’t mainstream yet, but they certainly seem to be catching on. This year’s Consumer Electronics Show saw numerous manufacturers introduce new curved 21:9 beauties targeting a range of capabilities and prices. Many seem to be targeting consumers exclusively on the merit of display size, but a few attempt to stand out in image quality as well. Dell’s U3415W falls into the latter category. The “U” in its name stands for UltraSharp, which means this monitor is intended for professionals who demand highly accurate colors, strong contrast and solid ergonomics. A monitor like this is particularly appealing to video-editing professionals, who can use the extra space for an extra-long timeline view. UltraSharp monitors aren’t affordable, however. The U3415W retails at $1,199, which puts it in league with LG’s premium 34UC97. 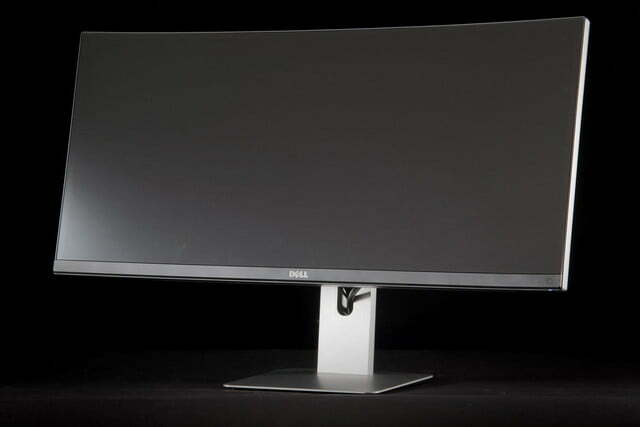 It also puts this monitor above Dell’s own P2715Q, which offers less screen space but higher pixel density. Does an ultra-wide UltraSharp make sense, or does it target too broad an audience? 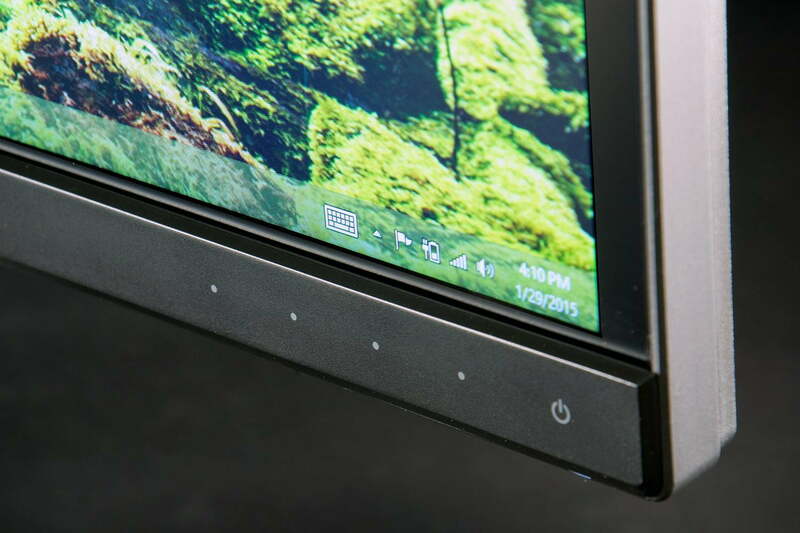 Monitors from Dell have a particular style. They’re simple, yet not chintzy, and are built from matte black and silver plastics that fit snuggly to form a modest, robust whole. 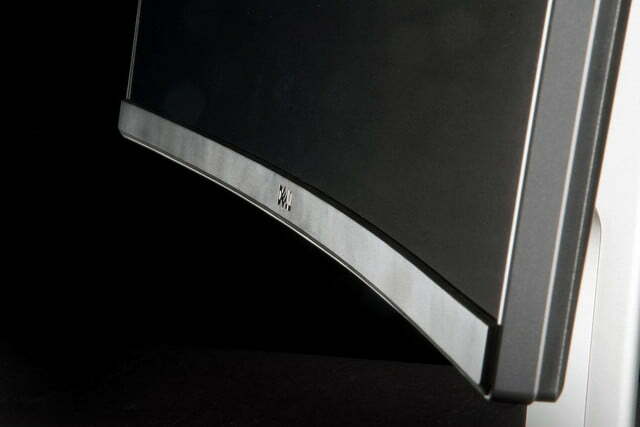 A curved monitor doesn’t obviously fit into this philosophy, and Dell has done nothing special to make the U3415W fit. It looks and works like any other UltraSharp. It’s just wider. The U3415W is wide, but also practical. This approach has its advantages, however. 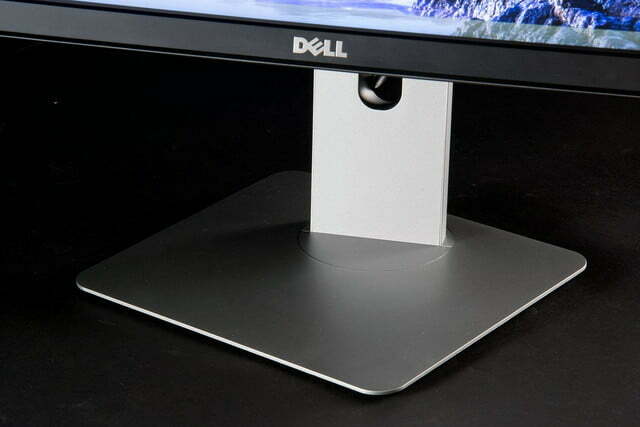 Unlike LG’s 34UC97, which only adjusts for tilt and requires a special bracket (available only upon request) for use with VESA stands, the Dell has a solid VESA stand included. 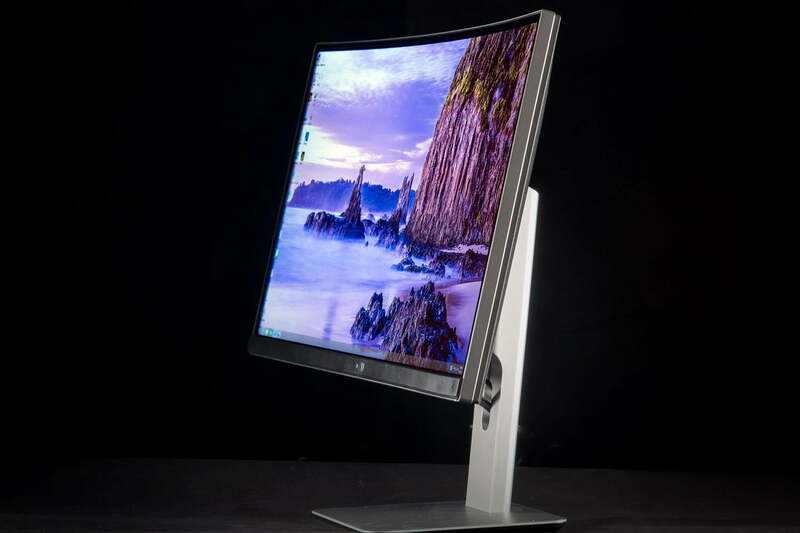 It offers tilt, swivel and height adjustment, but it does not pivot into portrait orientation because the panel is too wide. 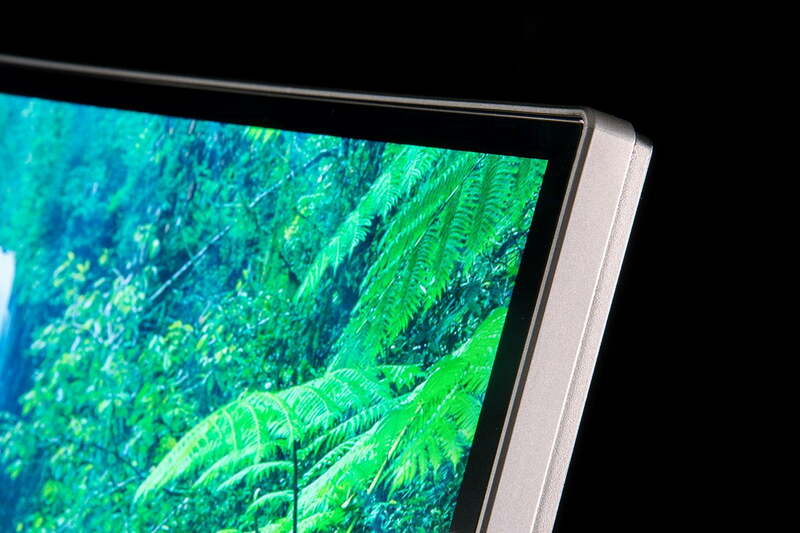 The U3415W boasts typical Dell build quality. Every surface feel robust, even the bezels, which are slim and hidden inside the panel to further the illusion of thinness. Professionals will be happy to find adjusting the display is almost as easy as with other UltraSharps, though the panel’s size can make it hard to find leverage when moving its height up or down. Video input is offered through Mini-DisplayPort, DisplayPort or HDMI 2.0. The latter is perhaps the most significant addition, if only because few competitors support it. There’s also a DisplayPort output for daisy chaining, and MHL for attaching mobile devices. 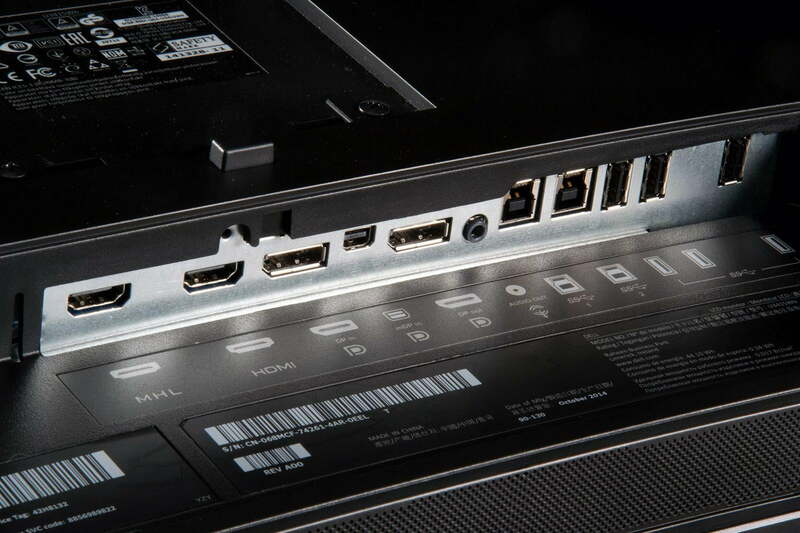 USB support consists of four 3.0 ports, all of them on the rear. Two integrated 9-watt speakers provide balanced audio with decent volume, but fall short of good external speakers because they lack base and have poor stereo staging. 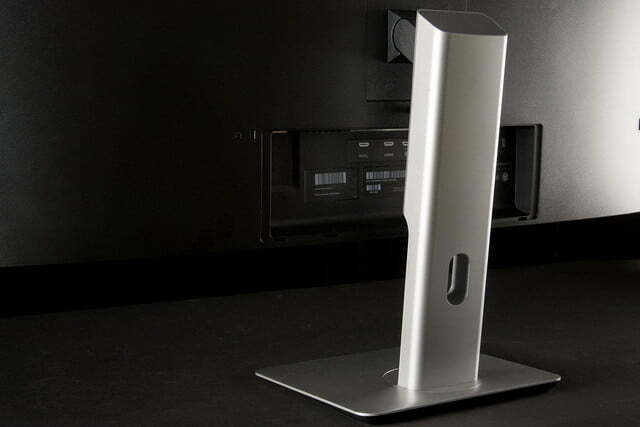 And audio-out jack is included for use with speakers, or headphones of your choice. This monitor varies from most Dell displays in its controls, as it does not use the tactile buttons typically offered. Instead it uses touch-sensitive controls along the lower right edge. While they’re among the most responsive touch control we’ve used, they’re not as intuitive as old-fashioned buttons. Dell’s menu is as easy to navigate as ever. Still, Dell’s menu is as easy to navigate as ever, with logically placed items arranged in a set of lists and trees. The selection of quality controls is reasonable. Brightness, contrast and sharpness round out the basic. Color calibration includes red, blue and green, and sub-colors like cyan can be adjusted for saturation. Gamma adjustment is limited, however, to a “PC” and “Mac” mode. Like other widescreen monitors the U3415W includes picture-by-picture and picture-in-picture modes. This works well, and the MHL port means you can even input video from a tablet or smartphone, something not all 21:9 sets can do. 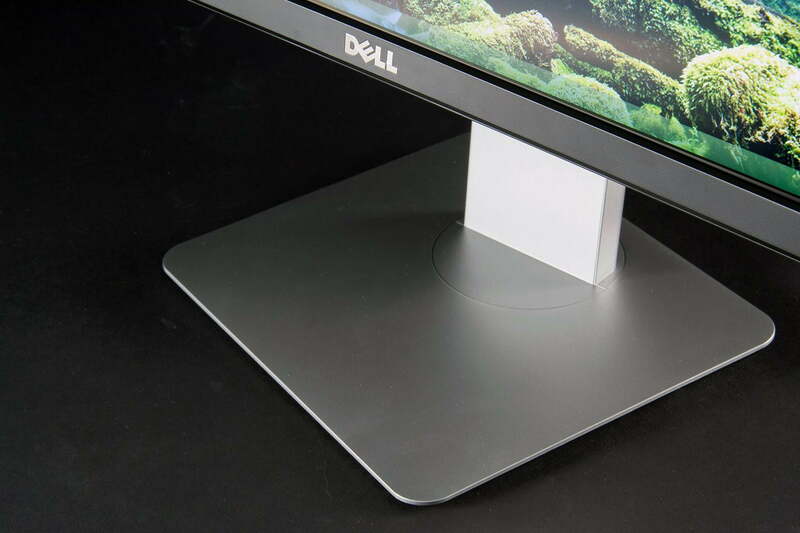 The Dell U3415W is an UltraSharp, which means it holds itself to a higher standard than competitors – and most Dells. While it measures up in many areas the display has a few problems that balance its positives. Let’s start with what works. Contrast is at the top of the list thanks to a ratio of 730:1 with brightness set to 75 percent of maximum (the default), which we measured at 328 lux. The monitor has punchy image quality right out of the box and looks great when fed high-resolution, high-contrast photos or games. Sharpness, while not on par with a 4K display, is equal to a standard 16:9 1440p monitor. Pixel density is about 110 PPI, a figure that’s low compared to modern smartphones and tablets but still respectable among PCs. The color gamut is adequate, too, covering 100 percent of sRGB and 78 percent of AdobeRGB. Those numbers fall short of the very best, like Dell’s 5K monitor and the Samsung U32D970Q, both of which can hit 96 percent of AdobeRGB. But the U3415W is on par with the LG 34UC97 and better than the Acer B326HK. Now for the problems. Average color difference came in at 2.48; not bad, but not outstanding. LG’s competing 34UC97 hit an average difference of 1.83 at its default settings. Gamma, meanwhile, hit a reading of 2, which is off the ideal target of 2.2. Contrast is the picture’s standout trait. Backlight bleed rears its ugly head as well. Though not as bad as with LG’s 34UC97, we noticed a significant increase in the brightness of dark images along the corners, and particularly along the top right of the display. While the problems may sound doom-and-gloom, the U3415W looks sharp in typical use. The strong contrast ratio and gamut provide plenty of visual punch and the backlight issues are only apparent in very dark images or movies. 21:9 movie trailers look outstanding, and while LG’s 34UC97 is technically on par, its more noticeable backlight bleed makes for an inferior experience. After spending some time with the monitor’s out-of-the-box image we began calibration. Through some trial and error we managed to reduce the color difference to 1.46, which respectable, but still higher than the LG 34UC97’s best result of 1.26. Gamma didn’t budge and the AdobeRGB gamut expanded slightly to 79 percent. The results of calibration were obvious in side-by-side comparisons, but difficult to pick up in subjective viewing. High contrast remained the standout trait of the display, overwhelming minor flaws in other areas and mostly distracting from the present, but not excessive, backlight bleed. We do wish Dell offered better gamma controls. The default setting is not perfect, and we couldn’t find a way to significantly change the result. Improved gamma could help the U3415W’s picture inch its way from merely good to absolutely astounding. The Nvidia GTX 980 is an excellent choice for gaming on Dell’s ultra-wide monitor, as it can handle most titles at its extreme 3,440 x 1,440 resolution. 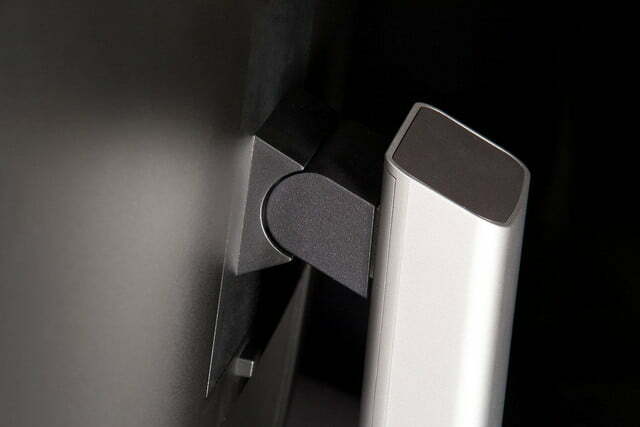 This articulating arm can support Dell’s display and provide a wide range of adjustments. DisplayPort is the best way to connect a computer to the U3415W. It comes with on in the box, but having an extra on hand is always a good idea. DataColor’s calibration utility will help you squeeze every drop of performance from Dell’s Ultrasharp display. 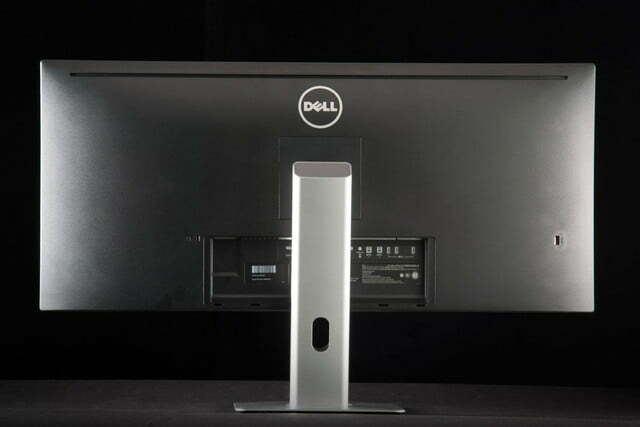 The U3415W, like all Dell’s expensive monitors, has a standard three-year warranty with advanced exchange service. This means Dell will quickly send a replacement monitor if a problem cannot be diagnosed through phone support. Three-year warranties aren’t uncommon among top-tier monitors, but they’re not guaranteed, and Dell’s protection is more generous than most. 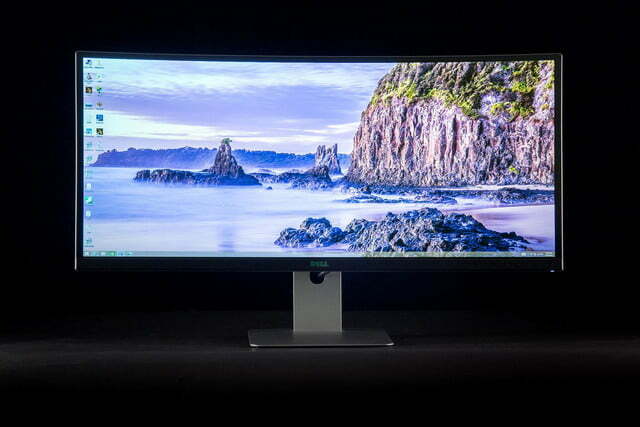 Dell’s U3415W is the best 21:9 monitor we’ve tested so far. It offers superior contrast to the LG 34UC97, and while it falls a bit behind in color accuracy, it’s otherwise on par. The stand is superior, too, which makes it better suited for the professional image and video editors who are the target audience. There are still flaws, however. Backlight bleed is obvious in any dark scene, the gamut is only adequate and color accuracy is merely good. If these complaints seem faintly damning, remember: This is a $1,200 display. Dell’s P2715Q, which offers 4K resolution and similar image quality, is only $700. And the 30-inch superstars like the Dell U3014 and Samsung U32D970Q are only a few hundred more. The question is simple; do you need 21:9? 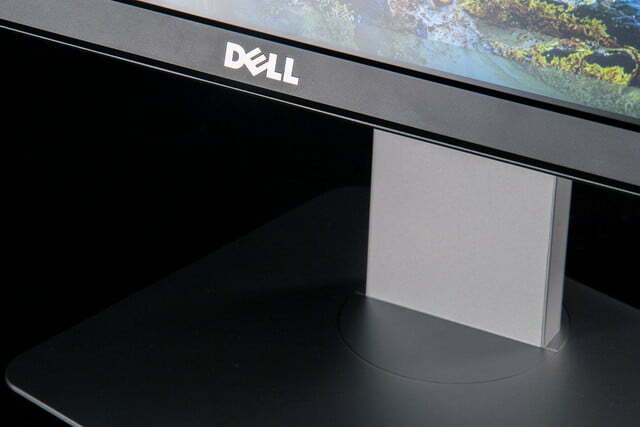 If you do, and you also want solid image quality, Dell’s U3415W is the way to go. It makes better sense than the LG 34UC97, which is more expensive and less practical. If you’re not married to the idea of an ultra-wide set, however, you can find value elsewhere.